Shabbat HaGadol is more than a pointer towards Pesach - it is the major postscript to it. 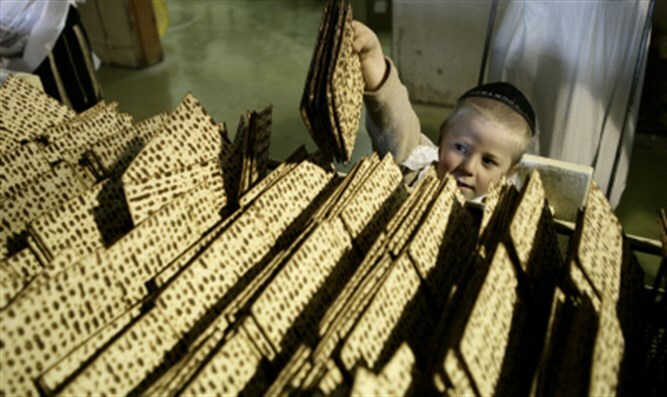 Before we say how much more it is, let's examine the primary and central role that Pesach plays in Judaism Pesach marks our Exodus from Egypt - no doubt about that. So does Shabbat and so do all of our Chagim, including Rosh HaShana and Yom Kippur. We repeatedly say in the davening and kiddush - ZEICHER LIYTZI'AT MITZRAYIM. Many other mitzvot than the Chagim are also tied to remembering the Exodus. We are commanded to remember it every day of our lives. This we fulfill with the last pasuk of the Sh'ma, at least twice every day of the year. Then, of course, there is the focus of telling the story of the Exodus on the night of the 15th of Nisan, when we have matza and maror lying in front of us. Towards the beginning of the Hagada, we have a Mishna from B'rachot, about reciting the third passage of the Sh'ma at night, in addition to the day, even though Tzitzit is a daytime mitzva. The reason we say it at night too is its reference to the Exodus. The come the Chachamim and add that we will mention and remember the Exodus not only 'now' but even in the time of the Mashiach, even after the Geula Sh'leima. This might be a bit puzzling if the events of the Exodus we 'merely' about our redemption from Egypt. Because the Complete redemption will eclipse the events of the Exodus. So we need to understand and see what the Exodus has for us, besides our transition from slavery to freedom. And the answer is THE BIRTH OF THE JEWISH NATION. That was the purpose of G-d's taking us out of Egypt. He said it to Moshe Rabeinu at the Burning Bush and He sent Moshe to say it in different words to the Jewish people in Egypt. Becoming a nation is more than Y'tzi'at Mitzrayim. It started with that, sort of, but it is much more. It is coming our from Egypt; it is being taken by G-d to Him as His nation; it is His promise to bring us into Eretz Yisrael. Our becoming a nation includes many components, all of which we at least mention at the Seder. If Pesach were just remembering the Exodus, then only the first three terms of redemption would belong to the Seder night. But we are celebrating nationhood, so we have a fourth cup of wine to remember V'LAKACHTI - which means the Sinai experience. And we fill a fifth cup to include the Geula Sh'leima in the package deal. Dayeinu says it. Ha Lachma Anya says it. The Geula bracha at the end of Magid says it. L'SHANA HABAA says it. Package deal. And it is the total package that means that we will be talking about and remembering Y'tzi'at Mitzrayim KOL Y'MEI CHAYEI- NU, ALL the days of our lives. In good times and in bad times. Now and after the final Geula as well. If the broken piece of matza is the symbol of coming out of Egypt and the Afikoman symbolizes the final redemption, then remember that they both come from the same matza.